In March, Irish society sadly lost one of its most illustrious figures in public life – Christine Buckley. I had the privilege of knowing Christine and had enormous admiration, respect and love for her. I attended her funeral and found it deeply moving to hear her sons speak of their love for her and her central role in their lives, and to see the massive attendance at the funeral – so many people, all of whom had been inspired by her. The outpouring of tributes to her suggests that her work in speaking out for the survivors of abuse in industrial schools and residential care has transformed Irish society for the better. It has made us face up to all sorts of unpalatable truths. 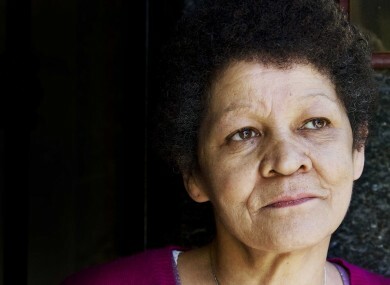 Christine Buckley was an important role model for Irish society. Her work in championing principled and progressive causes was not always popular. But her advocacy changed the political culture and our national understanding of child sexual abuse and institutional care. Role models like Christine are essential in seeking to achieve cultural change. The importance of role models for women in public life is highlighted in a recent report from the National Women’s Council of Ireland, ‘A Parliament of All Talents – building a women-friendly Oireachtas’. This calls for fundamental change to the culture within politics generally, and in Leinster House in particular – the laddish culture, in which individual politicians are subjected to disrespectful language, aggressive heckling and verbal barracking. The cultural barriers dissuading women from entering political life have been well-documented. But these cultural barriers do not disappear when women are elected to parliament. Sexist cultures within parliaments can inhibit women from entering politics. In 2011, the International Inter Parliamentary Union produced a report on ‘Gender-Sensitive Parliaments’. This too argued for the need to make systematic changes in the way that parliaments are run to ensure greater inclusivity of women, and to address the institutional practices which operate to exclude women. Recent incidents illustrate the prevalence of this macho culture in the Oireachtas. These include the inappropriate Facebookings of Patrick Nulty who has recently resigned as a TD; and the notorious ‘lapgate’ incident and debates in the Seanad on the Protection of Life during Pregnancy Bill, both in July 2013. The debates were dominated by the use of inappropriate and insensitive language from a small number of Senators opposed to the legislation. The National Women’s Council of Ireland report recommends the introduction of family-friendly policies like maternity and paternity leave; a 40% gender quota for Cabinet appointments; a gender audit of the Oireachtas; a code of conduct for respectful behaviour; gender-sensitivity training; and the promotion of solidarity among women politicians through the establishment of a women’s caucus with an independent secretariat. within Leinster House. Currently, long hours and heavy commitments in political life make it very difficult for both women and men to combine a political career with a young family. I know this from my own experience as a mother of young children. However, the real problem is lack of predictability. Childcare and family arrangements can be put in place, once we know in advance when the late sittings will take place and when the heaviest demands will be made during each month. Parliamentary procedures should be adopted in which sitting times and dates are fixed well in advance and adhered to without any unexpected last-minute changes. In this way members with commitments can arrange their childcare and home or family lives. A code or protocol should be adopted for all members on the use of language in the parliamentary chamber. This should be coupled with sanctions for those who engage in disrespectful behaviour or sexist heckling. Changes like these would go a long way to changing the culture that exists in Leinster house and would make our national parliament a better place for all. However, it is evident from the very low numbers of women candidates in the local elections that changes to work practices in Leinster House will not be enough to encourage more women into politics. Role models are essential to change the culture. This means we need more Christine Buckleys: powerful and principled individuals whose work reminds us of the power that individuals have, to change cultures and improve lives. Next article Why did Callinan and Kenny not tell Shatter?